The North Korean government developed its own homegrown linux-based operating system, dubbed as Red Star OS . A pair of researchers, Florian Grunow and Niklaus Schiess of the German IT security company ERNW have just given the code a once over — and as you’d expect, it’s locked down and oppressive, and worse than just a weaker version of other Linux distros. It’s geared toward enabling and maintaining a total surveillance state, all while giving the illusion of technological progress to its citizens. This latest version, written around 2013, is based on a version of Linux called Fedora. 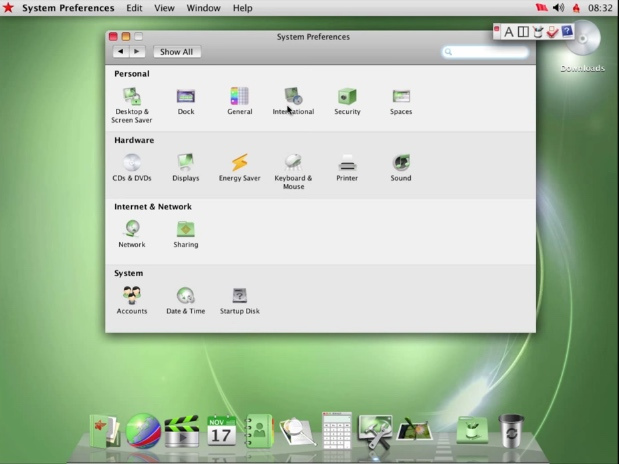 It ditched its former Windows XP-style UI and adapted looks similar to Mac OS X. Red Star OS uses KDE 3 and is available only in Korean, and is localized to North Korean spellings and terms. It contains a Firefox-based browser called Naenara for browsing the country’s intranet, along with an email client, media players, a music composition program, games, and a text editor. Right now privacy is a big issue in many parts of the world and there are debates as to whether governments should be allowed to spy on their own citizens. Turns out that over in North Korea this is a non-issue because according to the researchers, they found that Red Star OS has no privacy for the user whatsoever. Basically each file within Red Star OS has been marked individually. This means that the North Korean government will be able to see exactly who viewed what file, when they viewed that file, if there have been any modifications made, and so on. Trying to smuggle documents out of the country? The government will know. Trying to hide emails or files from your bosses? The government will know, basically like we said there is zero privacy whatsoever. The Red Star OS makes it very hard for anyone to tamper with it. If a user makes any changes to core functions, like trying to disable its antivirus checker or firewall, the computer will display an error message or reboot itself. “Maybe this is a bit fear-driven,” — Grunow said. “They may want to be independent of other operating systems because they fear back doors,” which might allow others to spy on them. Red Star also addresses a more pressing concern – cracking down on the growing underground exchange of foreign movies, music and writing. Illegal media is usually passed person-to-person in North Korea using USB sticks and microSD cards, making it hard for the government to track where they come from.Red Star tackles this by tagging, or watermarking, every document or media file on a computer or on any USB stick connected to it. That means that all files can be traced. There is no sign in the operating system of the kinds of cyber-attack capability North Korea has been accused of. The researchers say this suggests North Korea wants to avoid any code that might be compromised by intelligence agencies. North Korea is not the only country to try to develop a bespoke operating system. Cuba has National Nova, and China, Russia and others have also tried to build their own. What do you think about zero privacy linux-based North Korea’s Red Star OS ? We’d love to hear from you in the comments!